Features padded removable dividers in a spacious compartment designed to hold RPG books, DM screens, journals, binders and more. 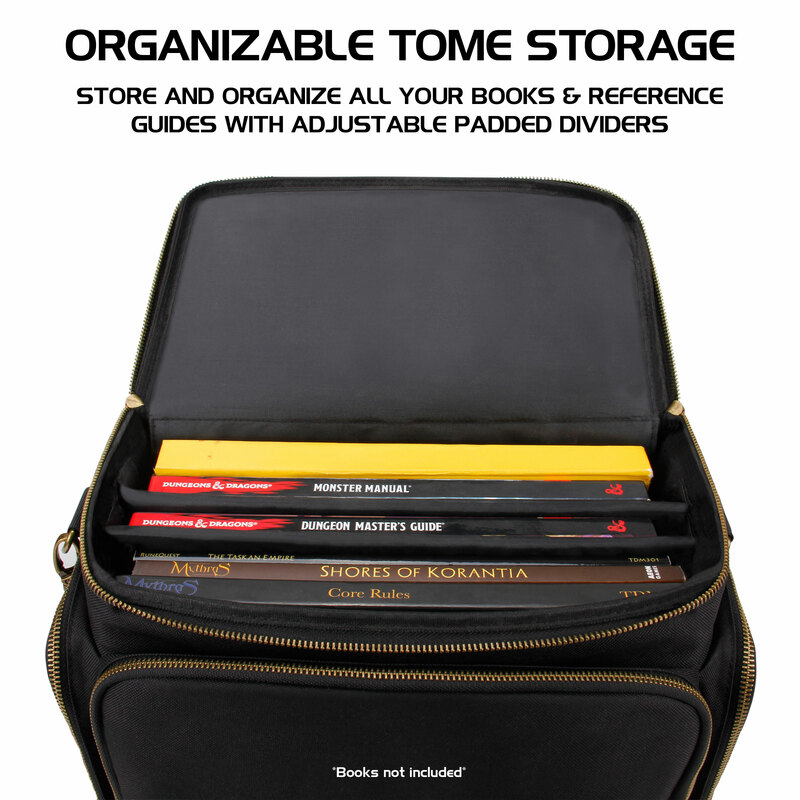 Organize your materials using the dividers or remove them to accommodate more books. 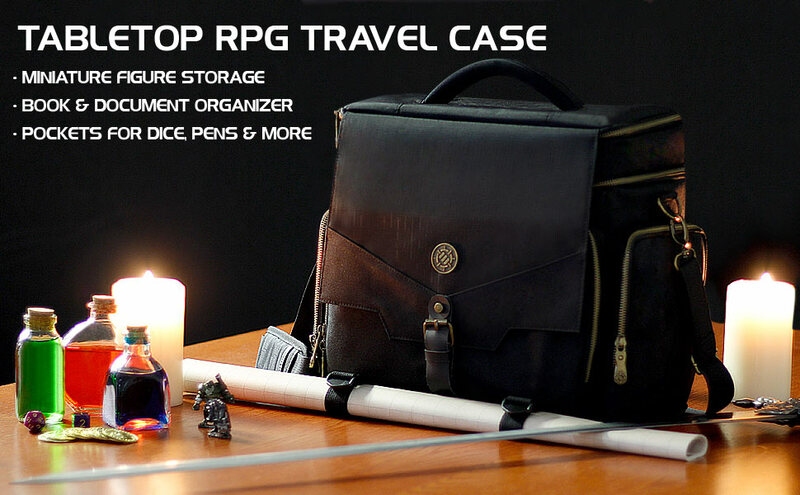 Bring your world building notes, adventure logs, and all the rule books you'll need to run your next session with the ENHANCE RPG Adventurer's Bag. 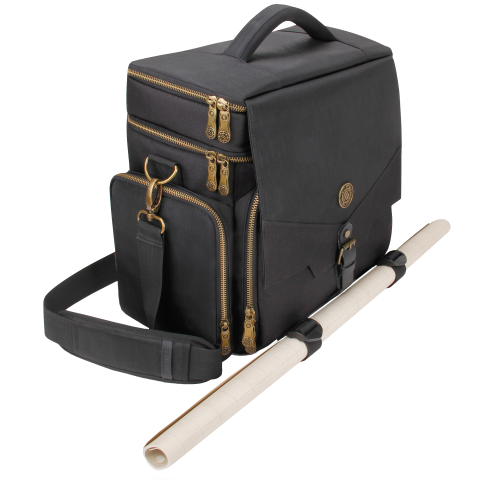 Secure loop straps can be used to store and travel with battlegrids, roll up maps, and other props you'll need to make your next adventure memorable. 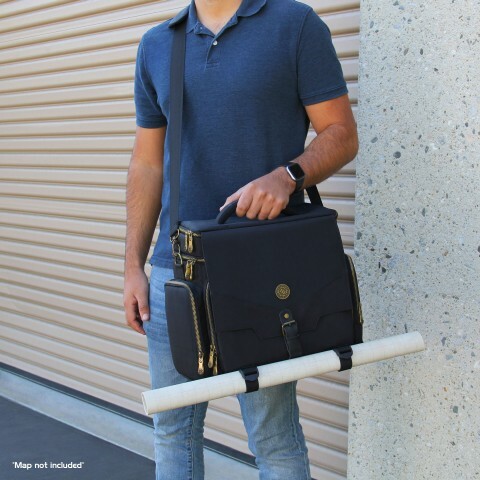 The straps can hold rolled grids and maps up to 3 inches in diameter, large enough to carry most vinyl maps on the market. 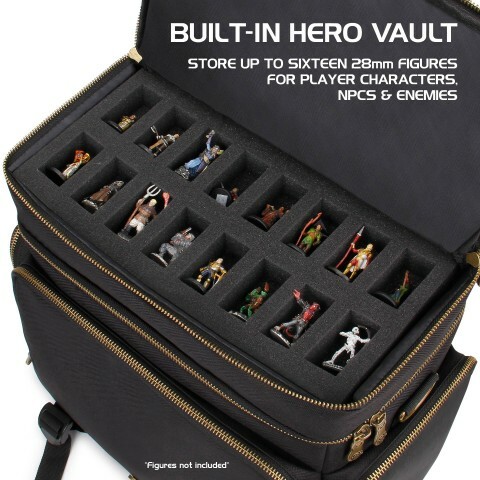 Bring your player character miniatures along with important NPC's and nefarious monsters to every game night. 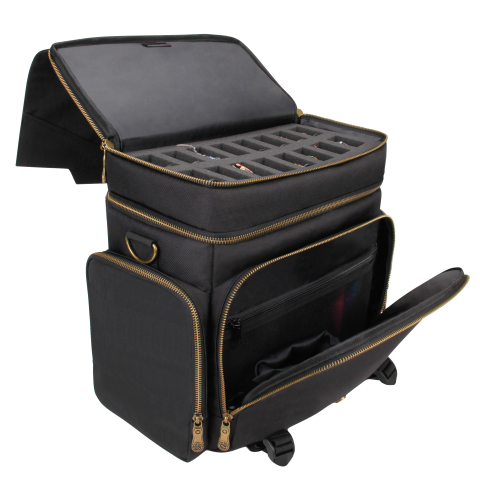 The integrated Hero Vault is a specialized compartment that stores up to sixteen 28mm miniature figures in a protective foam tray that can be removed for easy access and additional storage. 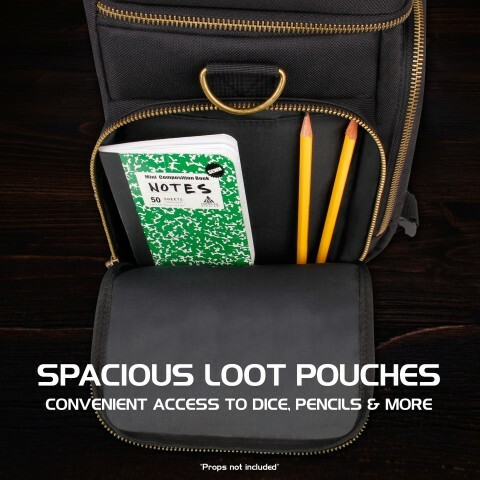 Store dice, tokens, pencils, markers and more in the three massive loot pouches. 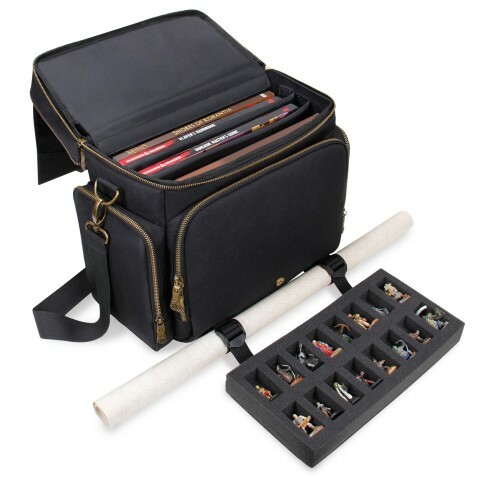 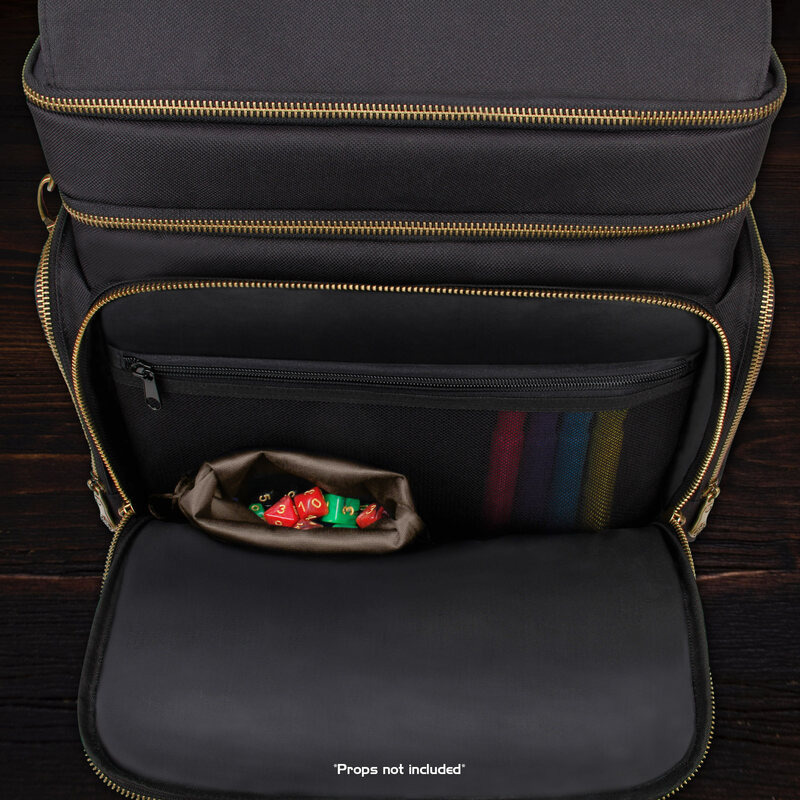 Two large zippered pockets on either side offer tons of space for larger items, while the front pocket is great for frequently used items such as dice. 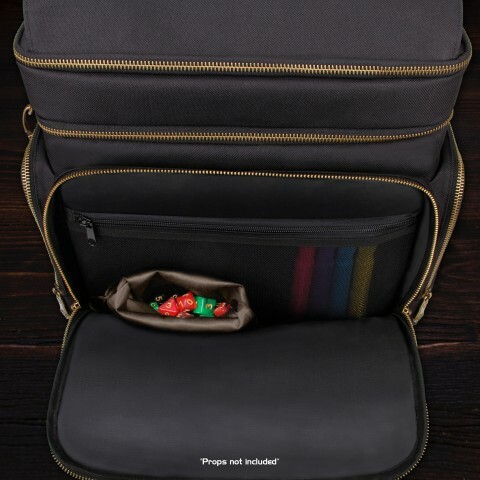 Features an interior mesh zippered pocket for storing additional small items.